“Music is my passion and I will not completely quit. I know there is light at the end of the tunnel but a lot still has to be done in our industry. My experience in Australia taught me that patience pays in music.” He was one of the best musicians to emerge at the beginning of the urban grooves wave that swept through the local music industry in the early 2000s. However, while most of his colleagues in the revolution were gracing local stages and making waves with live performances, he was in a far away land. Audius Mtawarira remains one of the best composers to benefit from the introduction of 75 percent local content policy and admits he lost a chance to shine in his homeland because he could not perform alongside his contemporaries. His music is still soothing and touching, yet upon return from Australia where he lived for 17 years, the gifted musician could not ride on the fame he had amassed in absentia. The urban grooves movement had ceased and he decided to concentrate on farming. 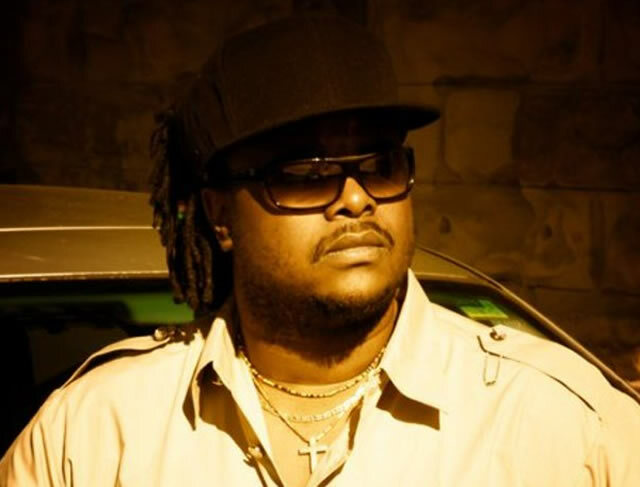 In an interview with Memory Lane on Wednesday, Mtawarira said he was overwhelmed by the response his music got back home and would have wanted to enjoy a complete voyage with the urban grooves ship. Although he made a huge mark on the Australian music industry as a staff producer for Sony Music, the “If Only You Knew” hitmaker’s passion was not satisfied without more activity back home. “Professionally I think I had more achievements in Australia than I would have possibly got back home. I worked for a big company and did music for successful artistes, but my dream was to be one of game-changers in the industry back home. I wanted to create art and live a complete music life in my home country and I admit I lost that opportunity,” he said. “I did music and sent it back home because my heart was always here. I got feedback about the popularity of my songs from friends and relatives, but initially I never thought it was a big deal. I was shocked when I had a chance to perform at a gala during one of my few visits back home. Songs like “If Only You Knew”, “Malaika”, “Do You?” and “I Could Love You Forever” were on local charts and most fans, especially females, could sing along to the tracks. Most people knew the songs and no one had seen the musician performing. They were all waiting for him to go on stage. “I was there in the backstage feeling a bit nervous. There was a wild roar in the crowd when the hosts announced me as the next performer. For a moment I was not sure of the next move. As I went up the stage, the sea of people in front of me shook with excitement. I caught my breath. I was overwhelmed. I could not believe it and I fought my emotions to get composure. The musician said it was sad the Kariba performance was the only big platform he got at home throughout his career. The following year he released another outstanding album “Ever After” with hits like “Amai”, “Can’t Believe” and “Zuva Nderedu”. His music continued to make waves back home, but the musician could only interact with his fans through social media. He did a few minor gigs between his busy schedules when he got a few chances to visit his family in the country. Until his relocation back home in 2013, Mtawarira’s desire to take an active part in the revolution of local music kept burning in his heart. When he returned, he had done other albums “Music and Me” and “Day Like This”. He came back armed with a new album “House of Stones” hoping to fulfil his dream in a big way, but that was not to be. By 2013, the Zimdancehall fire was rapidly spreading through the music forest, consuming other genres as new artistes in the beat ignited more flames with new hits almost daily. Mtawarira’s “House of Stones” went unnoticed and his attempt to whet his stage appetite hit a brick wall when his welcome back show dubbed “Zim for Life” flopped massively. He did a number of a few other shows that did not live to his expectations and the talented musician was disheartened. He decided to concentrate on farming. Although he has established a studio in Belgravia and recorded a new album that he has been holding on to since last year, Mtawarira now spends most of his time at his 95-hactre farm in Norton where he keeps cattle and does horticulture. He also assists his mother at her farm in Nyabira. Mtawarira was introduced to agriculture by his father who died in 2012 and the musician says farming has been going on well since he started his projects three years ago. He is waiting for what he calls ‘the right time’ to put more focus on music again. “I go to my studio once or twice a week and I am still composing music. I believe the right time shall come when I will focus more on music. We have links with a South African music company and we hope the partnership will work well when the time comes. Although he ended up being a producer for Sony Music, Mtawarira had gone to Asutralia to study graphic design. He got into music as a part time producer and made a breakthrough to Sony Music after doing a project for South African artiste Selwyn who won a talent search competition and was signed by the renowned music distributor. After completing his graphic design degree at Qurtin University in Perth, Mtawarira relocated to Sydney to join Sony Music. At the company he wrote songs and produced for hit makers like Delta Goodrem, Jessica Mauwoy and Rakki Lee. The 38-year Guruve-born musician grew up in Harare and attended Ruzawi, Peterhouse and Gateway schools before embarking on his professional journey.